The publishing world sees very few books reach blockbuster status, but William Paul Young's The Shack has now exceeded even that. The book, originally self-published by Young and two friends, has now sold more than 10 million copies and has been translated into over thirty languages. It is now one of the best-selling paperback books of all time, and its readers are enthusiastic. According to Young, the book was originally written for his own children. In essence, it can be described as a narrative theodicy -- an attempt to answer the question of evil and the character of God by means of a story. In this story, the main character is grieving the brutal kidnapping and murder of his seven-year-old daughter when he receives what turns out to be a summons from God to meet him in the very shack where the man's daughter had been murdered. In the shack, "Mack" meets the divine Trinity as "Papa," an African-American woman; Jesus, a Jewish carpenter; and "Sarayu," an Asian woman who is revealed to be the Holy Spirit. The book is mainly a series of dialogues between Mack, Papa, Jesus, and Sarayu. Those conversations reveal God to be very different than the God of the Bible. "Papa" is absolutely non-judgmental, and seems most determined to affirm that all humanity is already redeemed. While the literary device of an unconventional "trinity" of divine persons is itself sub-biblical and dangerous, the theological explanations are worse. "Papa" tells Mack of the time when the three persons of the Trinity "spoke ourself into human existence as the Son of God." Nowhere in the Bible is the Father or the Spirit described as taking on human existence. The Christology of the book is likewise confused. "Papa" tells Mack that, though Jesus is fully God, "he has never drawn upon his nature as God to do anything. He has only lived out of his relationship with me, living in the very same manner that I desire to be in relationship with every human being." When Jesus healed the blind, "He did so only as a dependent, limited human being trusting in my life and power to be at work within him and through him. Jesus, as a human being, had no power within himself to heal anyone." While there is ample theological confusion to unpack there, suffice it to say that the Christian church has struggled for centuries to come to a faithful understanding of the Trinity in order to avoid just this kind of confusion -- understanding that the Christian faith is itself at stake. Jesus tells Mack that he is "the best way any human can relate to Papa or Sarayu." Not the only way, but merely the best way. In another chapter, "Papa" corrects Mack's theology by asserting, "I don't need to punish people for sin. Sin is its own punishment, devouring you from the inside. It's not my purpose to punish it; it's my joy to cure it." Without doubt, God's joy is in the atonement accomplished by the Son. Nevertheless, the Bible consistently reveals God to be the holy and righteous Judge, who will indeed punish sinners. The idea that sin is merely "its own punishment" fits the Eastern concept of karma, but not the Christian Gospel. The relationship of the Father to the Son, revealed in a text like John 17, is rejected in favor of an absolute equality of authority among the persons of the Trinity. "Papa" explains that "we have no concept of final authority among us, only unity." In one of the most bizarre paragraphs of the book, Jesus tells Mack: "Papa is as much submitted to me as I am to him, or Sarayu to me, or Papa to her. Submission is not about authority and it is not obedience; it is all about relationships of love and respect. In fact, we are submitted to you in the same way." The theorized submission of the Trinity to a human being -- or to all human beings -- is a theological innovation of the most extreme and dangerous sort. The essence of idolatry is self-worship, and this notion of the Trinity submitted (in any sense) to humanity is inescapably idolatrous. 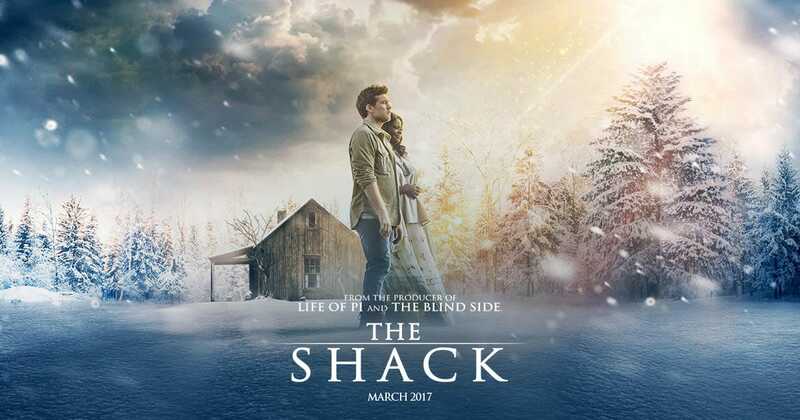 The most controversial aspects of The Shack's message have revolved around questions of universalism, universal redemption, and ultimate reconciliation. Jesus tells Mack: "Those who love me come from every system that exists. They were Buddhists or Mormons, Baptists or Muslims, Democrats, Republicans and many who don't vote or are not part of any Sunday morning or religious institutions." Jesus adds, "I have no desire to make them Christian, but I do want to join them in their transformation into sons and daughters of my Papa, into my brothers and sisters, my Beloved." Mack then asks the obvious question -- do all roads lead to Christ? Jesus responds, "Most roads don't lead anywhere. What it does mean is that I will travel any road to find you." Given the context, it is impossible not to draw essentially universalistic or inclusivistic conclusions about Young's meaning. "Papa" chides Mack that he is now reconciled to the whole world. Mack retorts, "The whole world? You mean those who believe in you, right?" "Papa" responds, "The whole world, Mack." Put together, all this implies something very close to the doctrine of reconciliation proposed by Karl Barth. And, even as Young's collaborator Wayne Jacobson has lamented the "self-appointed doctrine police" who have charged the book with teaching ultimate reconciliation, he acknowledges that the first editions of the manuscript were unduly influenced by Young's "partiality at the time" to ultimate reconciliation -- the belief that the cross and resurrection of Christ accomplished then and there a unilateral reconciliation of all sinners (and even all creation) to God. James B. DeYoung of Western Theological Seminary, a New Testament scholar who has known William Young for years, documents Young's embrace of a form of "Christian universalism." The Shack, he concludes, "rests on the foundation of universal reconciliation." Even as Wayne Jacobson and others complain of those who identify heresy within The Shack, the fact is that the Christian church has explicitly identified these teachings as just that -- heresy. The obvious question is this: How is it that so many evangelical Christians seem to be drawn not only to this story, but to the theology presented in the narrative -- a theology at so many points in conflict with evangelical convictions? Evangelical observers have not been alone in asking this question. Writing in The Chronicle of Higher Education, Professor Timothy Beal of Case Western University argues that the popularity of The Shack suggests that evangelicals might be shifting their theology. He cites the "nonbiblical metaphorical models of God" in the book, as well as its "nonhierarchical" model of the Trinity and, most importantly, "its theology of universal salvation." Beal asserts that none of this theology is part of "mainstream evangelical theology," then explains: "In fact, all three are rooted in liberal and radical academic theological discourse from the 1970s and 80s -- work that has profoundly influenced contemporary feminist and liberation theology but, until now, had very little impact on the theological imaginations of nonacademics, especially within the religious mainstream." He then asks: "What are these progressive theological ideas doing in this evangelical pulp-fiction phenomenon?" He answers: "Unbeknownst to most of us, they have been present on the liberal margins of evangelical thought for decades." Now, he explains, The Shack has introduced and popularized these liberal concepts even among mainstream evangelicals. Timothy Beal cannot be dismissed as a conservative "heresy-hunter." He is thrilled that these "progressive theological ideas" are now "trickling into popular culture by way of The Shack." Similarly, writing at Books & Culture, Katherine Jeffrey concludes that The Shack "offers a postmodern, post-biblical theodicy." While her main concern is the book's place "in a Christian literary landscape," she cannot avoid dealing with its theological message. All this reveals a disastrous failure of evangelical discernment. It is hard not to conclude that theological discernment is now a lost art among American evangelicals -- and this loss can only lead to theological catastrophe. The answer is not to ban The Shack or yank it out of the hands of readers. We need not fear books -- we must be ready to answer them. We desperately need a theological recovery that can only come from practicing biblical discernment. This will require us to identify the doctrinal dangers of The Shack, to be sure. But our real task is to reacquaint evangelicals with the Bible's teachings on these very questions and to foster a doctrinal rearmament of Christian believers. The Shack is a wake-up call for evangelical Christianity. An assessment like that offered by Timothy Beal is telling. The popularity of this book among evangelicals can only be explained by a lack of basic theological knowledge among us -- a failure even to understand the Gospel of Christ. The tragedy that evangelicals have lost the art of biblical discernment must be traced to a disastrous loss of biblical knowledge. Discernment cannot survive without doctrine.